The Feast of Saint Thibault 2013 is behind us, and another glorious evening of wine, friends, and ribs has past. 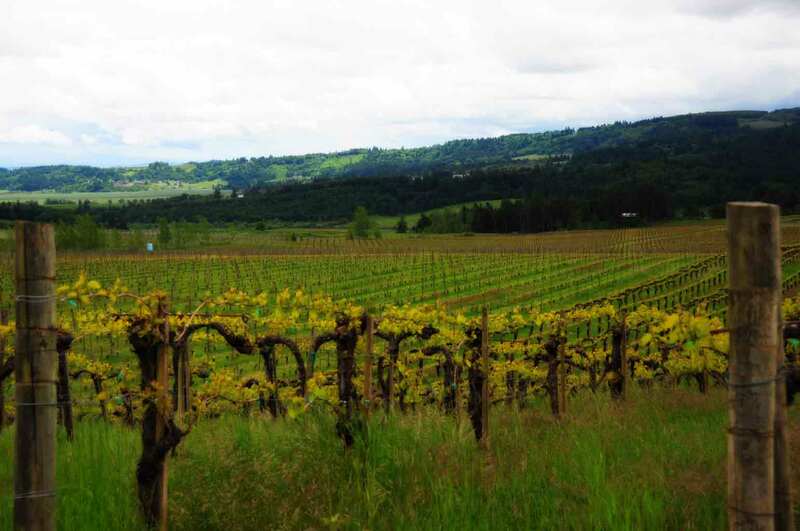 If you have not yet seen the photos of the event or the staff picks for best wines of the night, be sure to check them out. One of the most anticipated parts of the evening is being able to enjoy what many declare as the best ribs they’ve ever had in their life. 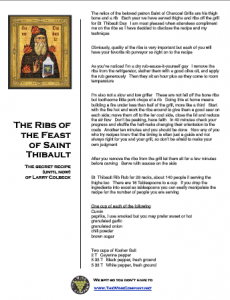 These ribs are talked about in dining circles all year-long (“yes, your ribs are good but let me tell about this Feast of Saint Thibault and the ribs Larry Colbeck makes …”). So it is with great pleasure that here, for the first time, the full recipe and cooking instructions are revealed. We guarantee, based on years of experience (and listening to hundreds of people moan with pleasure while consuming) that these may be the best ribs you’ll ever eat. Take it away, Larry …. “The relics of the beloved patron Saint of Charcoal Grills are his thigh bone and a rib. 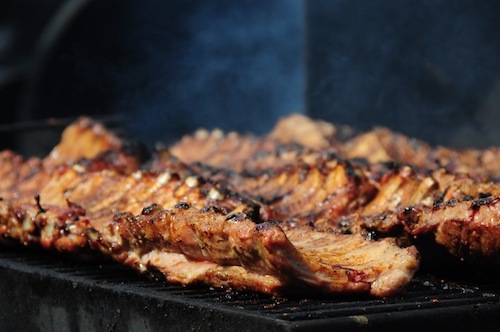 Each year we have served thighs and ribs off the grill for St. Thibault Day. I am most pleased when attendees compliment me on the ribs so I have decided to disclose the recipe and my technique. Obviously, quality of the ribs is very important but each of you will have your favorite rib purveyor so right on to the recipe. As you’ve noticed I’m a dry rub-sauce-it-yourself guy. I remove the ribs from the refrigerator, slather them with a good olive oil, and apply the rub generously. Then they sit an hour plus as they come to room temperature. I’m also not a slow and low griller. These are not fall off the bone ribs but toothsome little pork chops of a rib. Doing this at home means building a fire under less than half of the grill, more like a third. Start with the fire hot and work the ribs around to give them a good sear on each side; move them off to the far cool side, close the lid and reduce the air flow. Don’t be peeking, have faith. In 40 minutes check your progress and shuffle the half-racks changing their orientation to the coals. Another ten minutes and you should be done. Now any of you who try recipes know that the timing is often just a guide and not always right for you and your grill, so don’t be afraid to make your own judgment. After you remove the ribs from the grill let them sit for a few minutes before carving. Serve with sauces on the side. paprika, I use smoked but you may prefer sweet or hot.